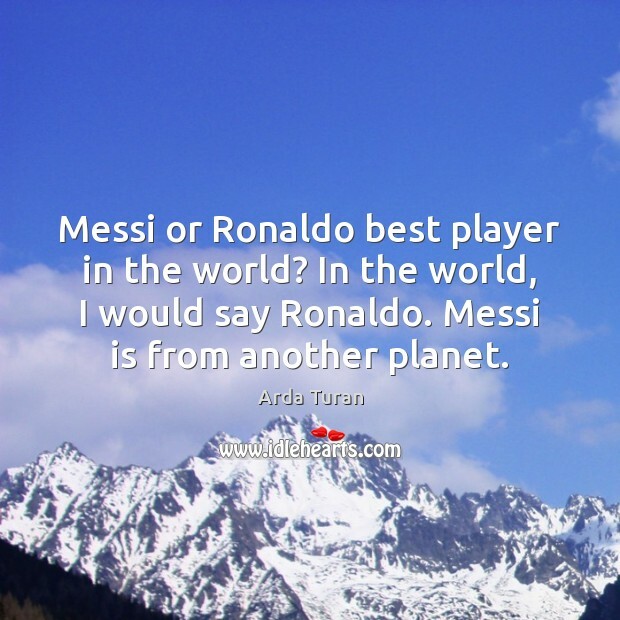 Enjoy the best inspirational, motivational, positive, funny and famous quotes by Arda Turan. Use words and picture quotations to push forward and inspire you keep going in life! I've always really just liked football, and I've always devoted a lot of time to it. If it is 11 against 10 then you have almost no chance of stopping him. Other teams have offered me really big money but my love for Galatasaray is real. I want to play in major leagues and my dream team is Liverpool F.C. As I always mention, Liverpool attracts me because of their tradition. In Europe, I am a Liverpool supporter, so if I go to play in Europe, I would like to play for them. Messi or Ronaldo best player in the world? In the world, I would say Ronaldo. Messi is from another planet.